I thought I would finish this quilt this week and be able to count all this fabric I’ve been cutting and sewing, but it didn’t happen. 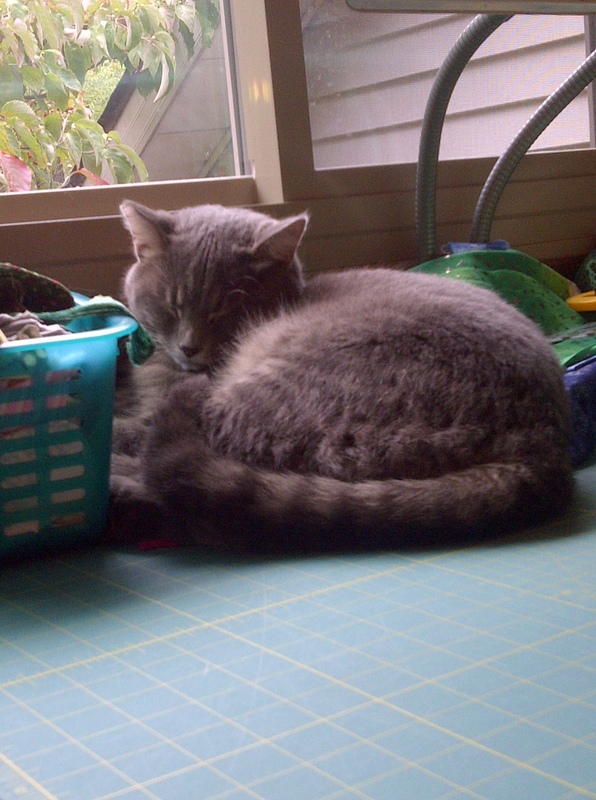 DS was home from college for the weekend, and we also went out with friends, so very little sewing was done. I have quilted stabilizing lines between all the blocks in one direction, but that is all. This week: + 1 yd (more gray), -0 yds. YTD: +102 yds., -176 yds. Net used during 2012: 73 yds. See more Stash Reports at Patchwork Times I’m trying out WordPress on my tablet, in preparation for a long vacation next month. Let’s see how it works. Categories: Uncategorized | Tags: Evening in the Garden, fabrics, modern quilting, quilts, stash reduction, Sunday Stash, Valerie Root | Permalink. Not extremely productive here, but we are managing to make some mess. Where are the Stars? Under the cutting table for now. A new project took precidence, so I hope to whip it out quickly this week. These log cabin blocks are 12″, with 4″ Bahama Blue “chimneys”, islands of calm. Here is how they go together. The yellow with the shiny dots is not as electric as it looks here – it is reflecting the light. 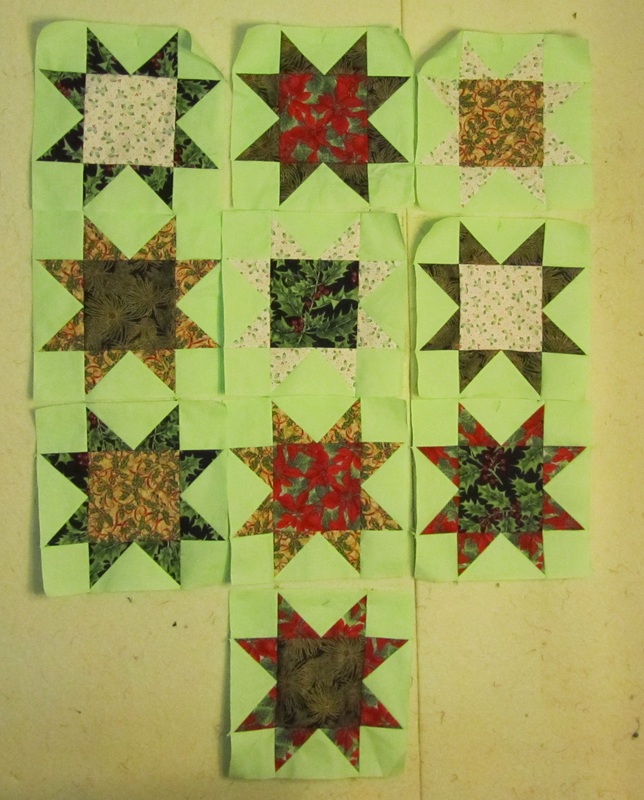 I want to quilt something different in each of the center square. Any ideas? 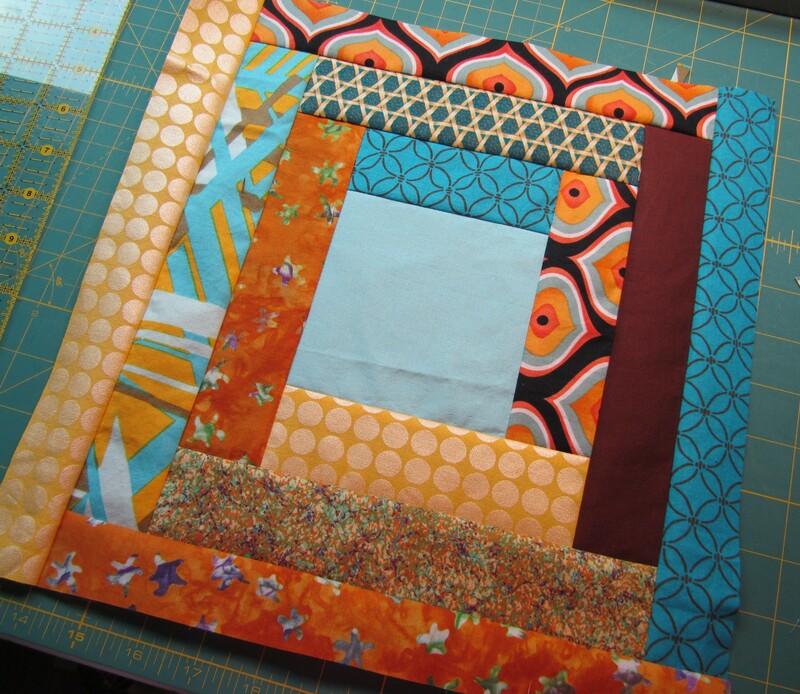 I’m linking up with Lee at Freshly Pieced WIP. A slightly better sewing week, and a little fabric used. 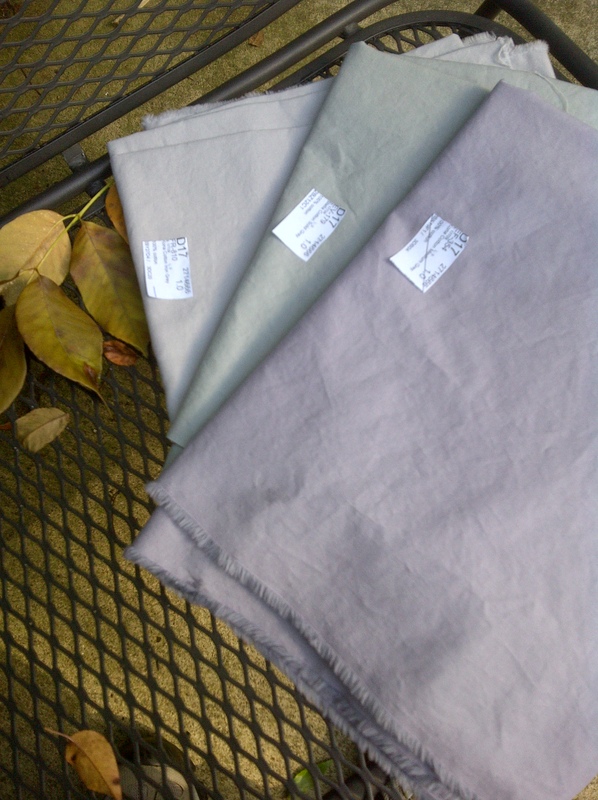 I did buy some, these 3 yards of grays (two Konas and a Bella). Can’t get much more basic and essential than this, can you? They will help me use up a beautiful but challenging piece of fabric, eventually. This week: +3 yds, -5 yds. YTD: =101 yds, -176 yds. Net used in 2012: 74 yds. Not extremely productive here, but I am working a little. 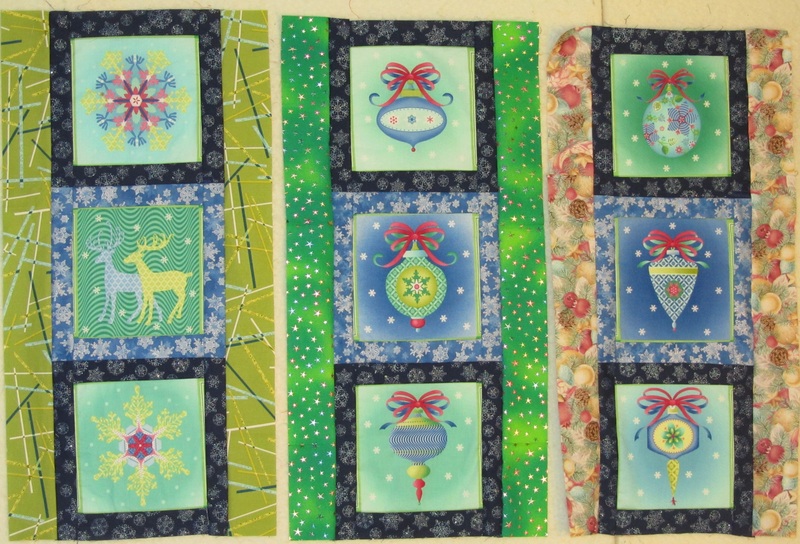 I, who rarely works on more than one project at a time, have started some Christmas wall hangings, just because I want to see a finish. Those Stars are going to take forever. I’m not sure about the modern pear green borders on the right one. I think I prefer the darker green with metallic stars that I used on the middle one. What do you think? I did also sew the last five large stars for Oh My Stars. Still large pieces, but I like them. 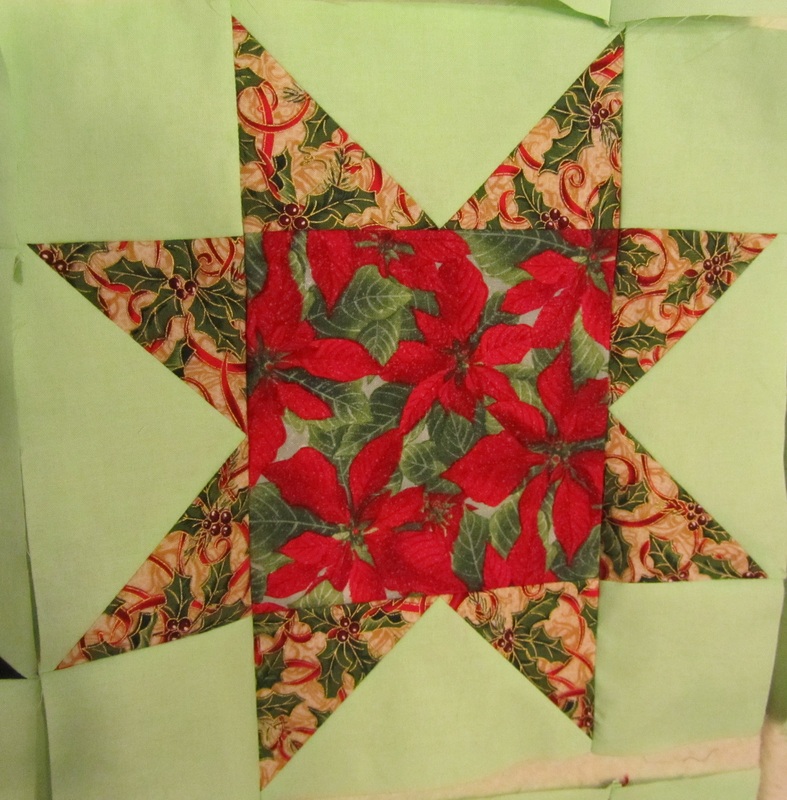 See what others are working on at WIP at Freshly Pieced. 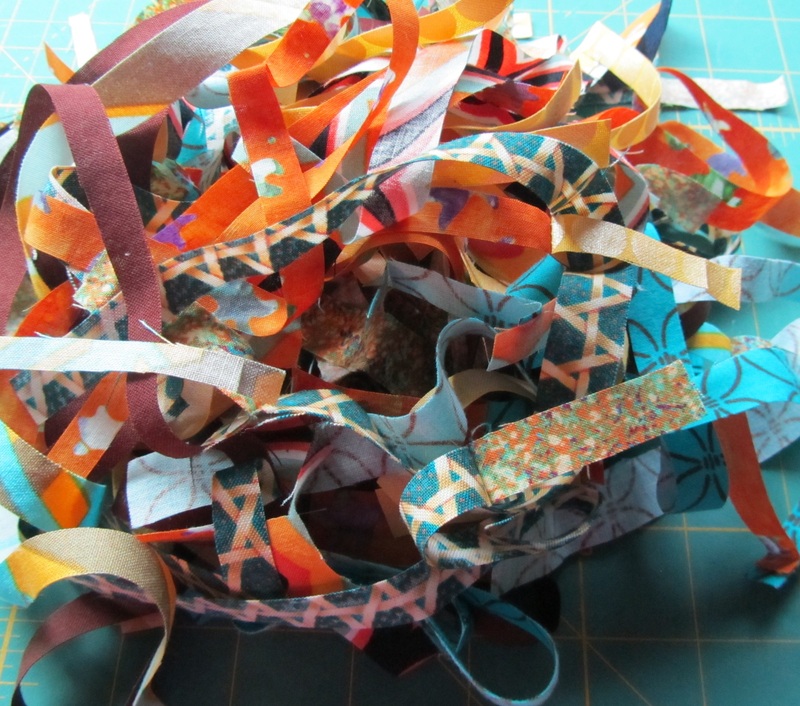 Well, I’ve generated a pile of patches and scraps, and done a little sewing, but I can’t record a single finish, so that makes for a very dull report. I didn’t add any fabric, but a little is on the way. I hope for great things next week, but I don’t know. It is so FALL, and I have the urge to preserve things, as well as work on the fall garden. Also spending some time watching the humming birds before they go away. 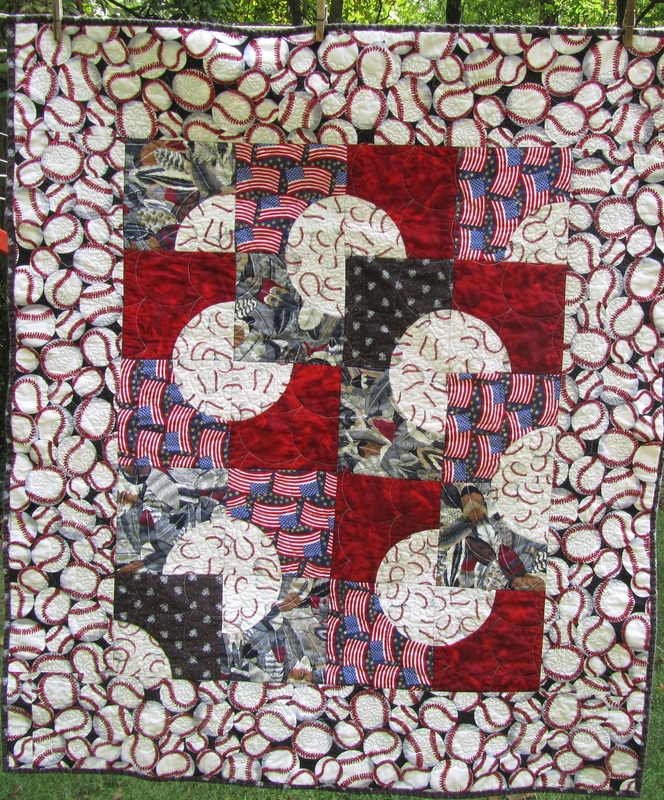 Congratulations to @QuiltyGal, at A Quilting Reader’s Garden for making her destashing goal for the year! I had better get going if I expect to make mine. Net stash used in 2012: 72 yards. This was really a fun little quilt to make, for most of it. I couldn’t find my templates, but I quickly made new ones using my nifty purple Fiskars circles. 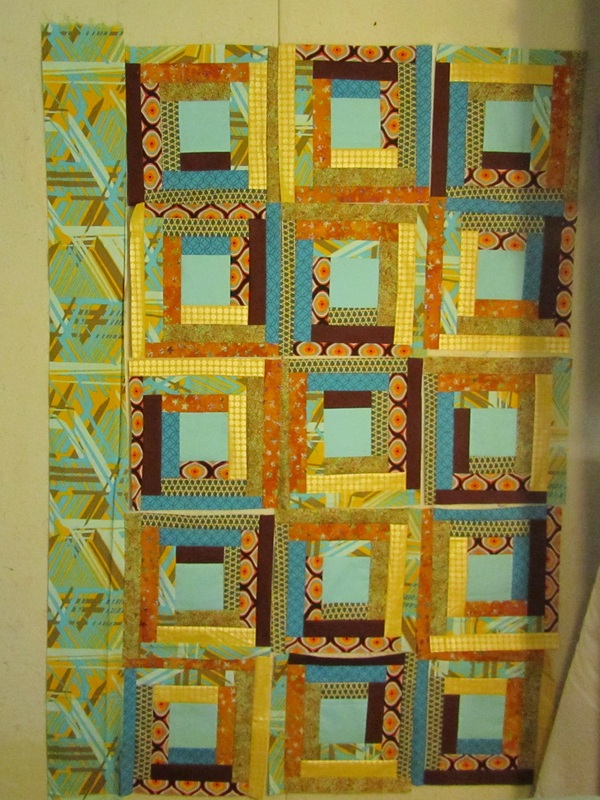 The blocks came together quickly, I liked one of the first arrangements on the design wall, the top and back came together quickly, and the quilting went fine. You like pink baseballs, right? I was too distressed to take a picture, but, trust me, they were quite pink. Not the printed ones in the border or back, just the large baseball motifs formed by the Drunkard’s Path blocks. Fortunately, I looked before I threw the quilt into the dryer. I washed it again, this time with Color Catchers. Then again, with Color Catchers and OxiClean. Whew! I have white baseballs again. Thank you, OxiClean. 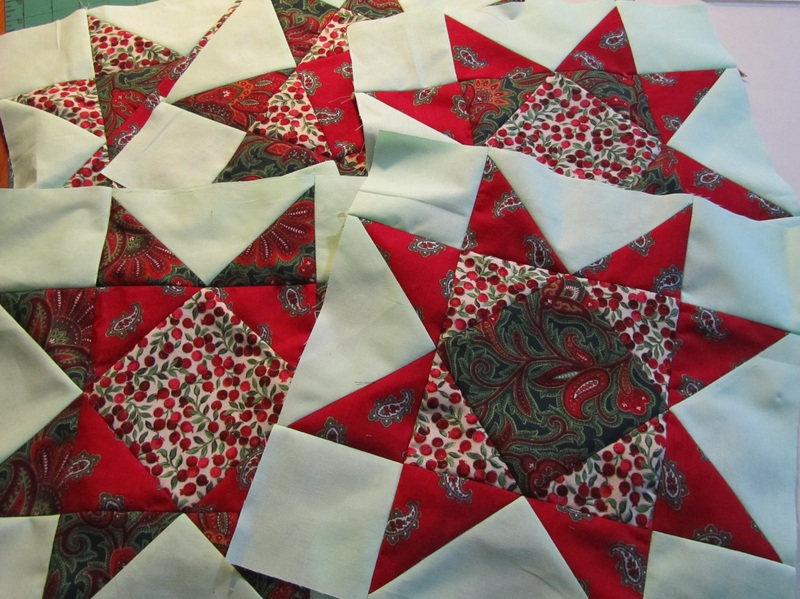 I know I had prewashed the red fabric with Color Catchers, but I still should have used them to wash the quilt. I don’t know where my brain was. And it wasn’t a hand dye as I thought, it was a Nancy Crow print that looked like one. 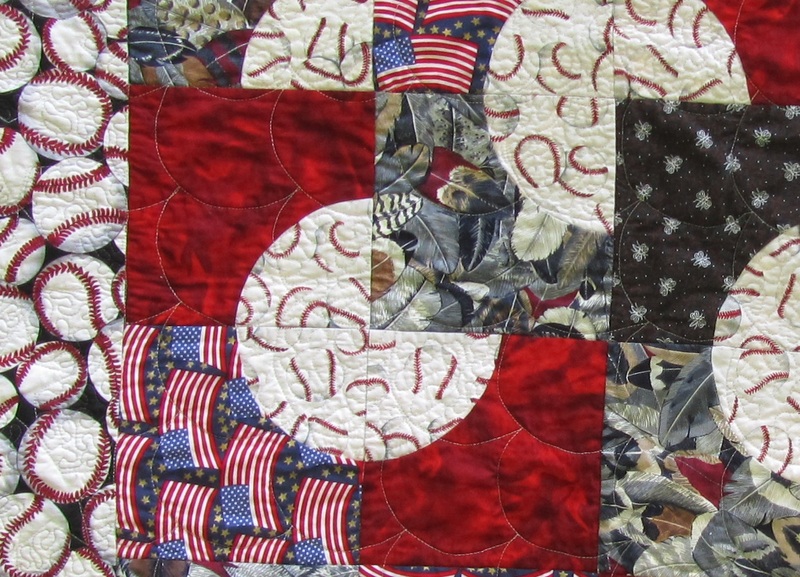 This quilt doesn’t lie as flat as I would like, and I know it’s because of the uneven amount of quilting, but I’m not sure what I would do differently. 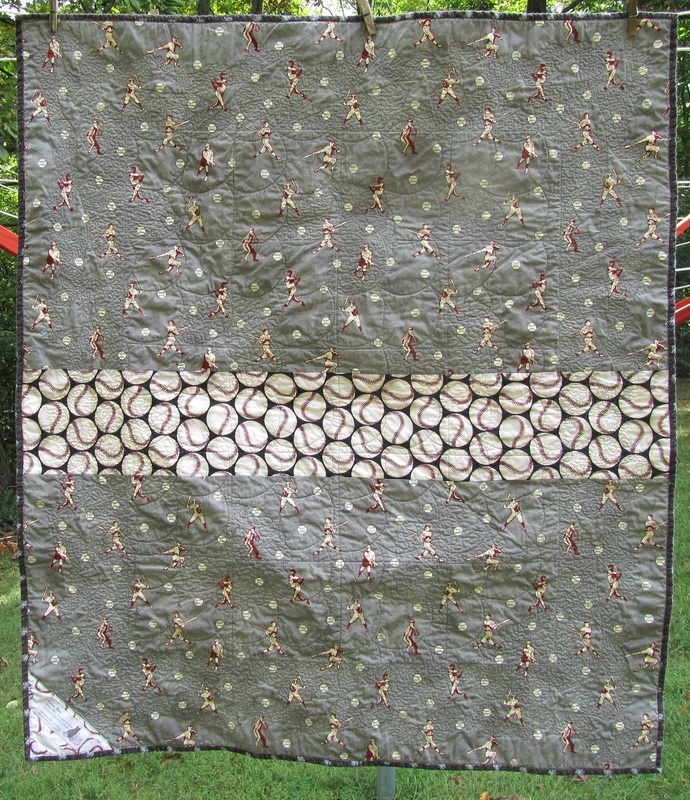 I quilted clam shells all over the field, then stippled the baseballs only. Then border has stars with stippling around to set them off. Maybe more, smaller clam shells? At least it’s not pink anymore. 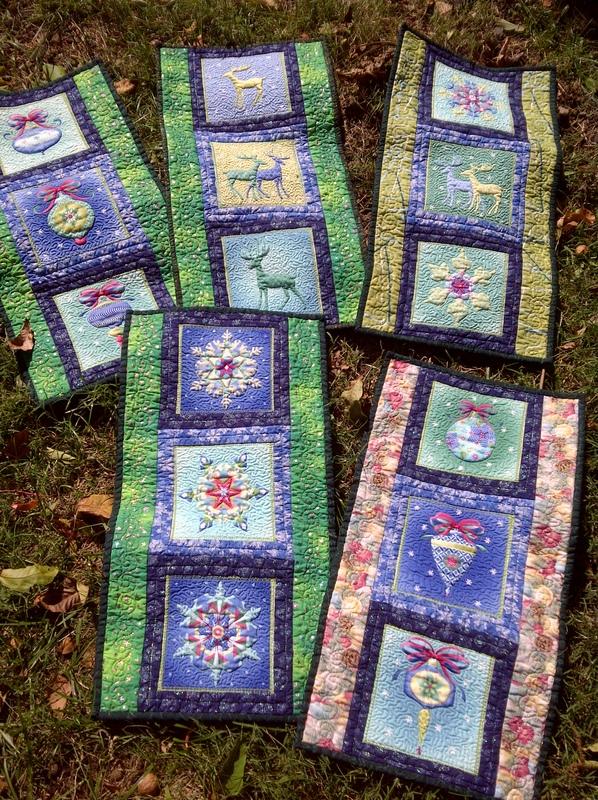 I have 10 of the 15 large stars finished for Oh, My Stars. I probably should have used the large size to do something more intricate (I will on the last 5), but I wanted to show some of the large-scale prints before they were cut into unrecognizable bits. 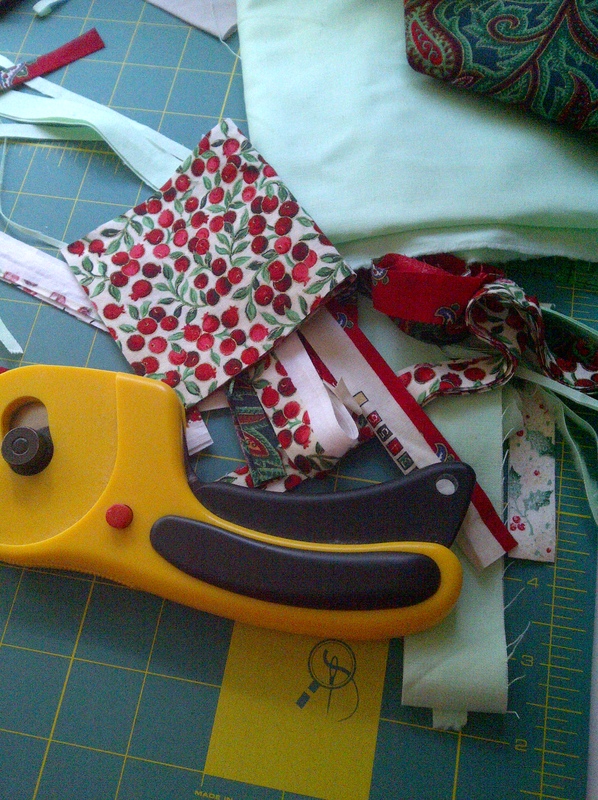 The directions are very good, and she is serious when she suggests using a scant quarter inch for seams. I wandered from that and ended up re-making two blocks. I went with pressing the seams open, which is something I’ve never done in quilt piecing, but I thought it might help with accuracy when I get to the smaller blocks. So far, so good. Thanks to everyone who has left comments: Pam, Jaye, landscapelady, mcquilts, Diane, Angie. They are appreciated. 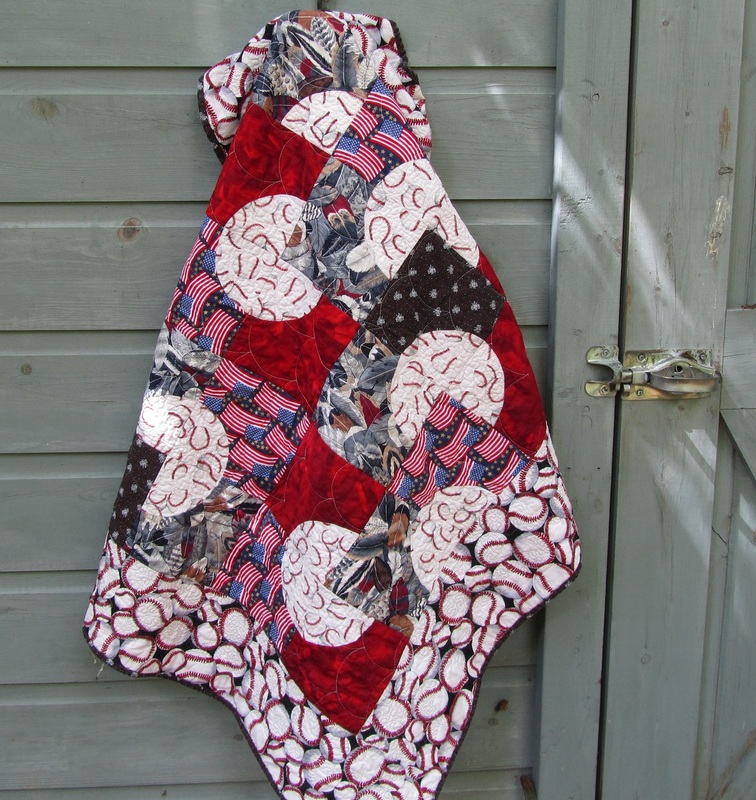 I’m linking up with Lee at Freshly Pieced.